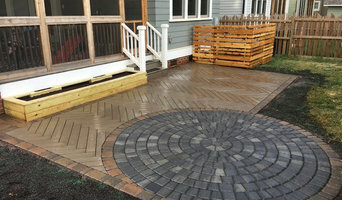 We are a veteran owned, full service hardscaping and landscaping company serving the Queen City of Charlotte, North Carolina and the surrounding communities. Your dream landscape is our core mission. We will focus on the big picture during the design stage, collaborating with you every step of the way, and then pay attention to all the details during the construction phase. The end result will be beautiful and last for many years to come. Our enthusiasm for your idea, experience and attention to detail will all be visible in your completed project for years to come! We help our clients create their dreamscape in stages. Often times, clients are interested in multiple projects - a fence, patio, fire pit, raised bed with retaining wall, new plants, etc. We encourage you to pick one and try us out. We're not going anywhere and you can choose to hire us again if and when you're ready. At Quality Renovations our focus is to transform dreams into reality while displaying the highest level of honesty, integrity and quality. We don't settle for "good enough" - our goal is to always exceed customer expectations. Come home to Quality! ME Home Improvement was established in 2005. We ensure the highest quality of work with highly experienced technicians. 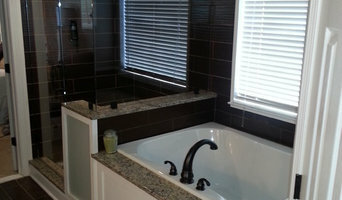 We serve in Charlotte Metro area to high-end project builders and home owners. At ME Home Improvement we bring dedication and integrity to our customers in meeting their expectations and fulfilling their dreams. We have continued to grow quickly because our customers are satisfied customers. 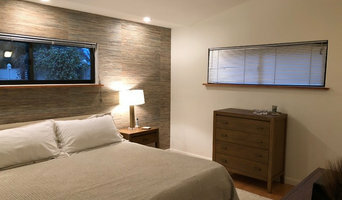 They are happy to refer us to friends and neighbors who are considering building a new home or remodeling their existing one. We do what we promise. We keep the homeowners involved with each step of the process. We are honest and straightforward. We live by high standards, we won’t try to find ways to cut corners or cheapen the product. We strive for top performance every step of the way. Over the years, ME Home Improvement has developed strong relationships with the technicians and sub-contractors we do business with. They know our expectations. TLC offers affordable and eco-friendly services for your lawn, gardens and landscapes. We strive to build long term relationships by delivering 100% customer satisfaction. Our goal is to provide you with prompt service, guaranteed clean-up, and old fashioned TLC for all your land care needs. Make your dreams come true on a reasonable budget. Hi, I’m Ray Helms, proud owner of Green Thumb Landscaping. My business operates in the Charlotte metro area for residential, commercial, appartment complexes, and home owner associations. 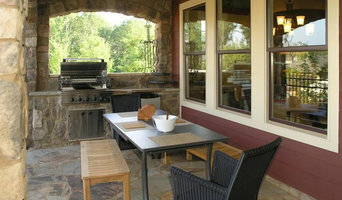 Please feel free to visit our website or our Green Thumb blog for ideas and tips on your most valuable assett. We are a licensed and certified nursery by the State of North Carolina. The Doctor Fence ensures that all client requirements are met to an extremely high standard by our professional and friendly staff. We offer an extensive range of services; from rails, railings and ramps through to gates, grilles and high-security palisade fencing- all of which can be viewed in more detail across the rest of the site. As per the convenience of our clients, we offer them with easy payment modes and terms. Wide distribution network, set up by us, helps us in delivering the finished products at clients’ destination within the stipulated time frame. 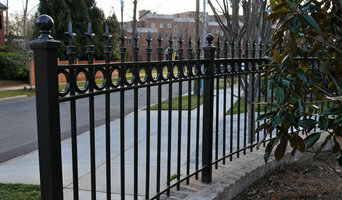 The Doctor Fence, as a client-centric, we aim to provide exceptional quality. Our products are manufactured under the close supervision of trained professionals. • Great Client Service – Call or chat with us online, if we are not online leave us a message. • Uppermost Quality Materials – Only the highest quality materials are used in our fencing installations. • Full Assurance – All our supplied materials workmanship are fully guaranteed. • Free Quotations – Call or chat to us online to arrange a free no obligation quotation.